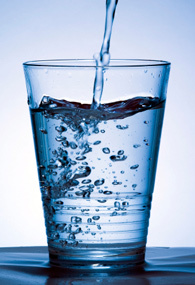 We are a highly experienced and proven provider of water treatment solutions. These range from complex municipal and industrial water treatment systems (group water schemes, water treatment plants etc) to single domestic units (water softener, water filtration and UV sterilisation etc). Our clients range from homeowners to large multinational and municipal authorities and our primary objective is ensuring a safe and clean supply of water for our customers use. We provide a number of standard, proven technologies in removing iron and manganese from drinking water. The selection of the appropriate method is based on raw water analysis and our track record. With our background in water chemistry, we will ensure the correct design is selected for you. Acidic water is very prevalent in vast areas of Ireland. We has developed our range over the years based on hands-on experience. Talk to us about replenishment of PH correction media, user-friendly filter vessels with side port access to reduce down time and proper initial set-up to remove the occurrence of media solidifying after a year or two. Over 70% of Irish drinking water is classed as surface water. Our traditional multi-media sand filter is your first line of defense from turbidity, suspended solids, colour and bacteria. We can reduce back-wash water usage and save on your water bill. Our self cleaning filter range comes in manual, semi-automatic and fully automatic. Operation of these filters can be controlled by time or pressure differential. Very effective product when used in the appropriate application.